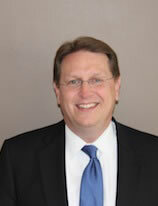 Gregg S. Morrison is an executive with McDonald Group, Inc., a private investment firm in Birmingham, Alabama. Mr. Morrison, formerly a tax manager at PricewaterhouseCoopers, holds degrees from the University of Alabama (B.S. ), Samford University (M.Div. ), Emory University (Th.M. ), and The Catholic University of America (Ph.D.). He and his wife, Laura, and their two children reside in Vestavia Hills, Alabama and are members of Shades Mountain Baptist Church.